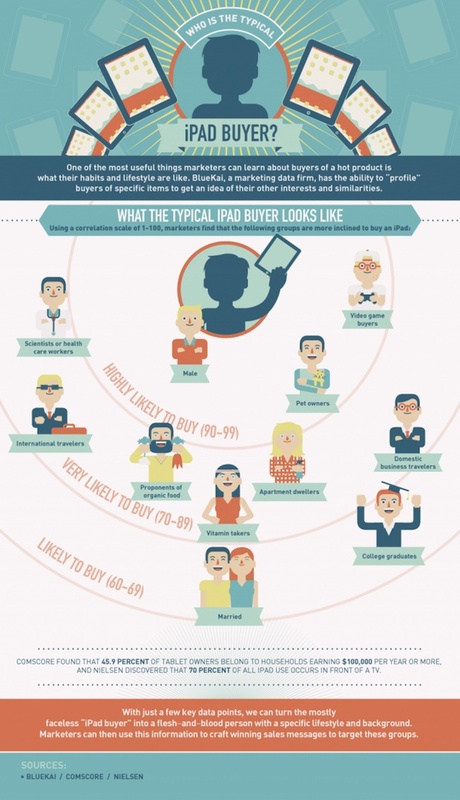 What do you think the profile of an average iPad owner would be like? Would you guess that the most likely individual to buy an iPad was a male who owns pets and plays video games, who might be a business traveling doctor or scientist that takes vitamins and prefers organic food? Yup, all those things are more likely to be true of iPad owners, and they also tend to be married college graduates who live in apartments. All of this is according to a market research firm that AllThingsD tapped to make the infographic embedded below. Reading the smaller print you’ll find that up to 70% of iPad use occurs in front of a TV, and that nearly half of iPad owners live in households with over $100,000 a year in combined income. Interesting, huh? 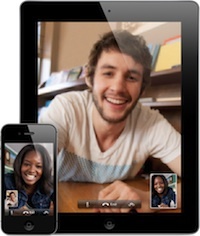 Given the profile Apple could easily lift the the price tag of the iPad3 by 100% and those people would still buy it. Shshshshsh….don’t say it out loud!!! I agree with all your points except for the (single males) comment. Most of them are rich, hence they can buy themselves and their wife/girlfriend/mistress/etc. an iPad so there will be no moaning at all (well except for the moaning that could happen after the iPad is given to the significant other if you catch my drift). Typical profile of surveys/polls like these is BS. You can make numbers say anything. Also lack of any people of any ethnicity other than white in there too. Hmm…guilty on all counts. Pets: check. Doctorate: chech. Video games: only on the iPad…check. I have become cliche, the laughter of worlds. I see no whites – mostly pinks and maybe a few beiges… and one human race.